Written in 2019, a report on Hong Kong’s rule of law may make for uncomfortable reading – but to the authors, it is also a reminder that there is much work to be done. 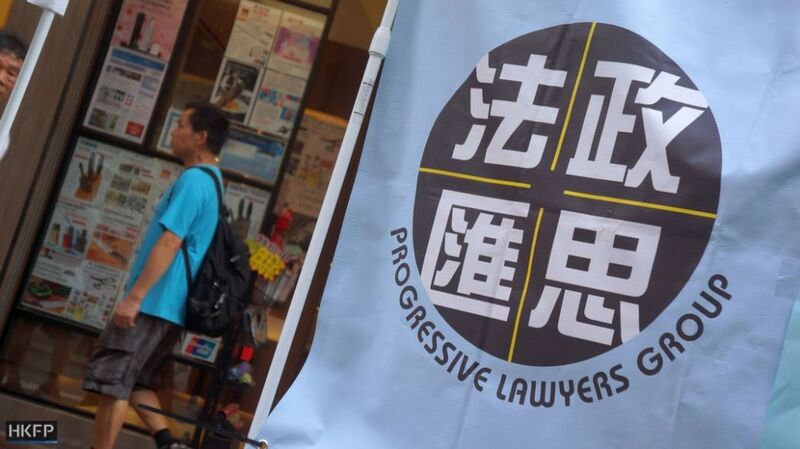 Next month the Progressive Lawyers Group (PLG) will launch what it hopes will be an annual tradition: a record of major events affecting Hong Kong’s rule of law, paired with its own legal analysis and recommendations. 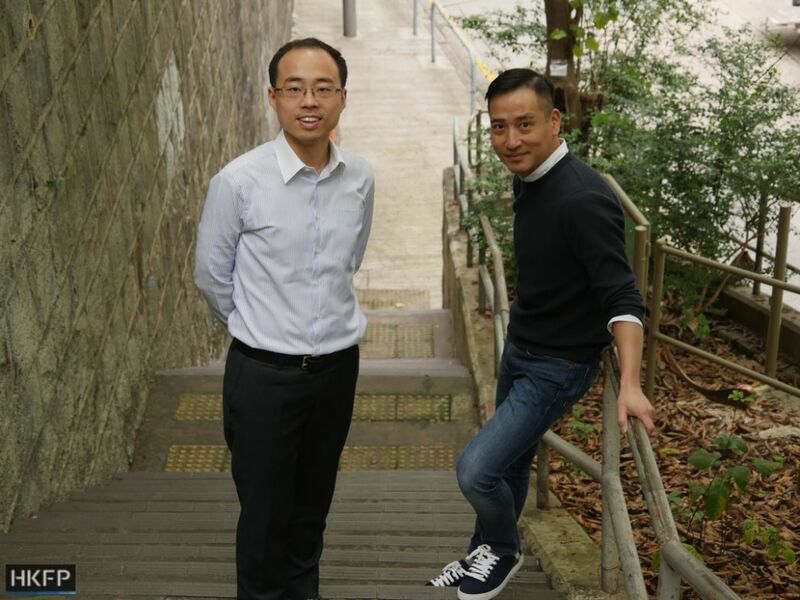 The effort is spearheaded by its three convenors: Chris Ng, who took on the role last year, with newcomers Billy Li and Jason Ng. Billy Li and Jason Ng. Photo: Holmes Chan/HKFP. Formed in January 2015, the group started with around 50 members from the legal industry and academia. Its membership has doubled in the four years since, and PLG has become a regular fixture at protest marches and petitions. 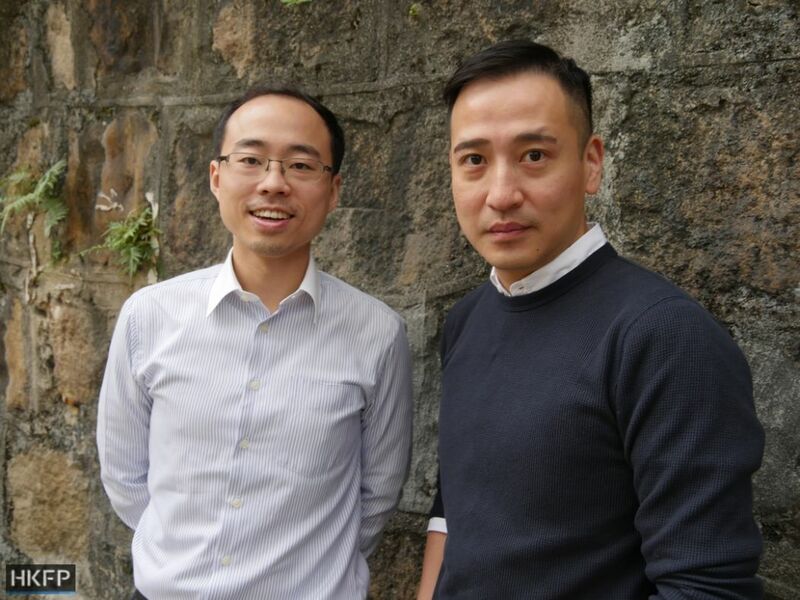 In an interview with HKFP, new convenors Li and Ng said that their new initiative will hopefully serve as a useful reference tool both at home and overseas. The upcoming report will be bilingual and run to over 300 pages. It also contains over 60 recommendations: “We don’t want to give the impression that we only criticise,” Ng said. Hong Kong’s rule of law has been the subject of international study, but PLG’s report will benefit from the perspective of local practitioners, Ng added. As one of Hong Kong’s top judges, Kemal Bokhary, predicted in 2012, a “storm of unprecedented ferocity” was gathering over the city’s rule of law. Now that the storm has clearly arrived, there is a sense that PLG is taking stock. It was important to create a big picture of the city’s progress – or regress – on a yearly scale, Li said, to keep things in perspective. In the 2001 comedy film Shaolin Soccer, the heroes – impoverished Shaolin monks who compete as a football team – go up against a corrupt team owner who wants to buy his way to victory. That line has since become ingrained in Hong Kong pop culture as a reference to overwhelming unfairness and systemic corruption. Photo: a still from the 2001 film Shaolin Soccer. When discussing China’s encroachment on the city’s rule of law, that was also Li’s preferred analogy. Ng agreed, saying that the biggest danger was Basic Law interpretations by the National People’s Congress Standing Committee (NPCSC) – which have been happening increasingly often. To the PLG convenors, the ultimate fear is Article 23 of the Basic Law, which demands that Hong Kong enact a national security law. The law was shelved in 2003 after half a million Hongkongers took to the streets in protest, but the government may be in a better position in 2019. “I don’t know when [the government] will suddenly say it’s a good time for Article 23. Maybe [Chief Executive] Carrie Lam does not want it, but the central government would,” Ng said. He added that people may have become desensitised to the threat, because they think legislation of a national security law is inevitable. 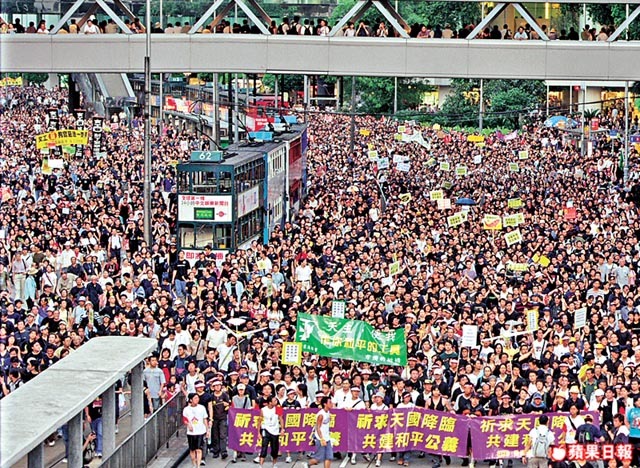 Protest against Article 23 on July 1, 2003. Photo: Apple Daily. 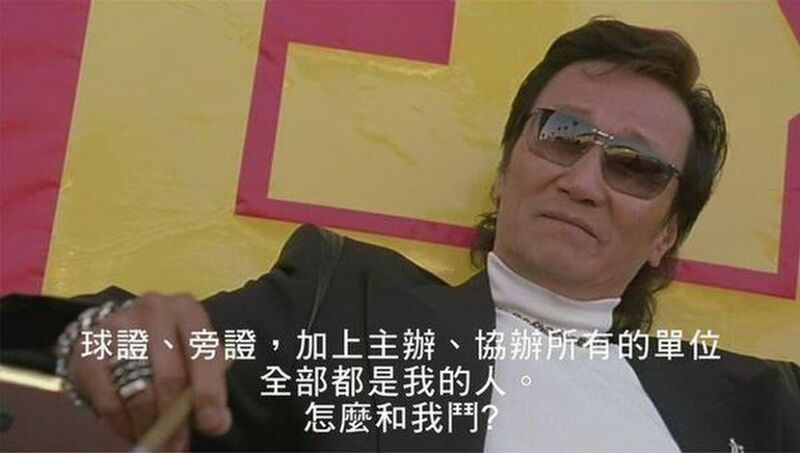 “Look at how they’re pushing the extradition law amendment – why can’t they use the same tactics for Article 23?” Li said, referring to a blitzkrieg-style consultation period which lasted only 20 days. Li said that people were still returning to Hong Kong in 2003, so there was more incentive to resist, but some people are now emigrating for good. “To them, Article 23 is just sticking another knife into a terminally ill patient,” he said. PLG is often seen as one of the many civil society groups that sprung up in the aftermath of the 2014 pro-democracy Umbrella Movement, riding a wave of optimism and political momentum. But since then, the local sentiment regarding the city-wide protests has become decidedly mixed. Li, who became a practising barrister in 2016, said that it was akin to a person reacting to a particularly bad breakup. “It used up the political energy accumulated over two decades, so you can’t expect a recovery in just a few years,” he said. Ng said that he resisted pessimism because giving in would be the same as letting the Hong Kong government win. Li said he was more conflicted, and that it was a struggle for lawyers to remain vocal. In the meantime, the PLG convenors said they were just doing their part to preserve the rule of law. “No matter what kind of dirty tricks they use, we will insist on talking sense,” Li said.